SharpShooter Gauges included in the package features a rich set of 180+ pre-built gauges: Meters, Dials, Sliders, Switches, Digital numbers and text, Odometers and other common and non-standard controls. You can easily adjust existing gauges to your requirements, or create a new one from scratch if none of the pre-designed gauges suits you. End user designer is provided. SharpShooter Charts offers a complete library of 180+ 2D charts: Bar, Pie, Line, Spline, Stock, Candle Stick, Bubble and other most wide spread chart types. You can create necessary chart from scratch or pick up one from the library and modify it. 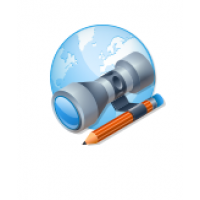 End user designer is available. 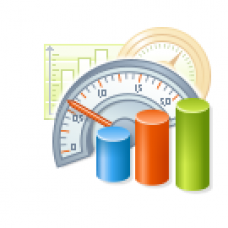 Both gauges and charts are designed in identical styles, so you don’t need to waste your time adjusting chart and gauge appearance for a single dashboard. 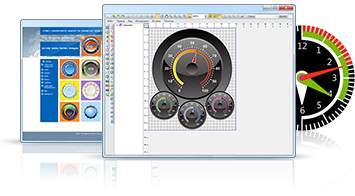 SharpShooter Charts and SharpShooter Gauges designers are identical as well, so you won’t spare much time exploring how to use both products. You get a complete development framework that will streamline building of digital dashboards. 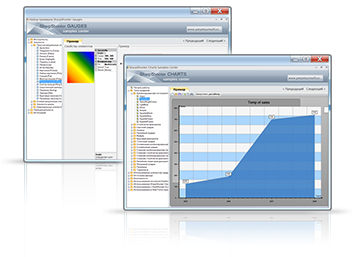 Purchasing license for the SharpShooter Dashboards provides you with 1 year subscription for product updates, upgrades, fixes and new versions. Technical support is also free during your subscription period. 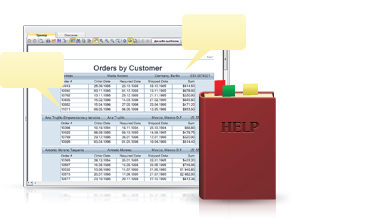 Upon your request, our developer staff is available to further assist you design and/or customize your dashboards.